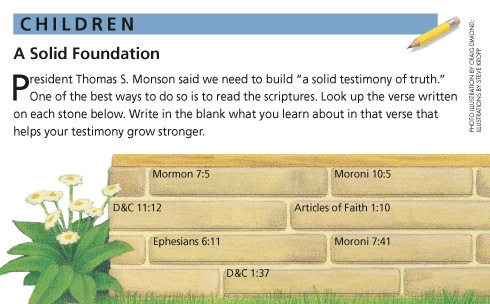 President Thomas S. Monson said we need to build “a solid testimony of truth.” One of the best ways to do so is to read the scriptures. Look up the verse written on each stone below. Write in the blank what you learn about in that verse that helps your testimony grow stronger.